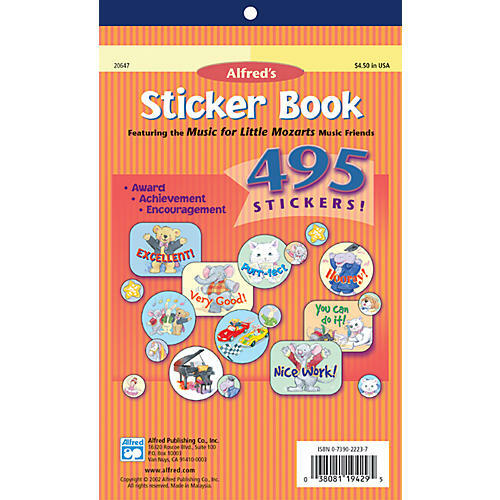 These stickers were designed to be used with all young piano students in any piano method. Many of the characters from the Music for Little Mozarts series including Beethoven Bear, Mozart Mouse, Clara Schumann-Cat, Pachelbel Penguin and J. S. Bunny are featured in colorful and imaginative artwork. Words of encouragement and praise are featured on some stickers. Two different sizes (regular and mini) are included. Booklet includes 495 stickers.